The 1979 release of the retrospective album Fruit Tree triggered a reassessment of Drake's music. By the mid-1980s, he was credited as an influence by such artists as Robert Smith, David Sylvian, and Peter Buck. In 1985, the Dream Academy reached the UK and US charts with "Life in a Northern Town", a song written for and dedicated to Drake. By the early 1990s, he had come to represent a "doomed romantic" musician in the UK music press. The first Drake biography was published in 1997, followed in 1998 by the documentary film A Stranger Among Us. In 1999, his song "Pink Moon" was used in a Volkswagen commercial, resulting in an increase in his U.S. album sales. By 2014, more than 2.4 million Nick Drake albums had been sold in the UK and the US. Drake’s father, Rodney Shuttleworth Drake (1908–1988), moved to Rangoon, Burma, in the early 1930s to work as an engineer with the Bombay Burmah Trading Corporation. In 1934, Rodney met the daughter of a senior member of the Indian Civil Service, Mary Lloyd (1916–1993). Rodney Drake proposed in 1936, though they had to wait a year until she turned 21 before her family allowed them to marry. In 1950 they returned to England to live in Warwickshire at their home, Far Leys, in Tanworth-in-Arden, south of Birmingham, the city where Rodney Drake worked from 1952 as the Chairman and Managing Director of Wolseley Engineering. Nick's older sister, Gabrielle, became a successful screen actress. Both parents were musically inclined and each wrote music. Recordings of Molly's songs, which have come to light since her death, are similar in tone and outlook to the later work of her son; they shared a similar fragile vocal delivery, and Gabrielle and biographer Trevor Dann noted a parallel foreboding and fatalism in their music. Encouraged by his mother, Drake learned to play piano at an early age and began to compose songs which he recorded on a reel-to-reel tape recorder she kept in the family drawing room. In 1957, Drake was sent to Eagle House School, a preparatory boarding school near Sandhurst, Berkshire. Five years later, he went to Marlborough College, a public school in Wiltshire attended by his father, grandfather, and great-grandfather. He developed an interest in sport, becoming an accomplished sprinter over 100 and 200 yards, representing the school's Open Team in 1966. He played rugby for the C1 House team and was appointed a House Captain in his last two terms. School friends recall Drake as having been confident, often aloof, and "quietly authoritative". His father Rodney remembered: "In one of his reports [the headmaster] said that none of us seemed to know him very well. All the way through with Nick. People didn't know him very much." Drake played piano in the school orchestra, and learned clarinet and saxophone. He formed a band, the Perfumed Gardeners, with four schoolmates in 1964 or 1965. With Drake on piano and occasional alto sax and vocals, the group performed Pye International R&B covers and jazz standards, as well as Yardbirds and Manfred Mann songs. Chris de Burgh asked to join the band, but was rejected as his taste was "too poppy". Drake's academic performance deteriorated and, while he had accelerated a year in Eagle House, at Marlborough he began to neglect his studies in favour of music. In 1963 he attained seven GCE O-Levels, fewer than his teachers had been expecting, failing "Physics with Chemistry", a fallback for students who struggled with science. In 1965, Drake paid £13 (equivalent to £247 in 2018) for his first acoustic guitar, a Levin, and was soon experimenting with open tuning and finger-picking techniques. In 1966, Drake enrolled at a tutorial college in Five Ways, Birmingham, where he won a scholarship to study at Fitzwilliam College, Cambridge. He delayed attendance to spend six months at the University of Aix-Marseille, France, beginning in February 1967, where he began to practise guitar in earnest. To earn money, he would busk with friends in the town centre. Drake began to smoke cannabis, and he travelled with friends to Morocco; according to travelling companion Richard Charkin, "that was where you got the best pot". He most likely began using LSD while in Aix, and lyrics written during this period—in particular for "Clothes of Sand"— suggest an interest in hallucinogens. On returning to England, Drake moved into his sister's flat in Hampstead, London, before enrolling at Fitzwilliam College, Cambridge University that October to study English Literature. His tutors found him bright but unenthusiastic and unwilling to apply himself. His biographer, Trevor Dann, notes that he had difficulty connecting with staff and fellow students, and that matriculation photographs from this time portray a sullen young man. Cambridge placed emphasis on its rugby and cricket teams, yet by this time Drake had lost interest in sport, preferring to stay in his college room smoking cannabis, and listening to and playing music. According to fellow student Brian Wells, "they were the rugger buggers and we were the cool people smoking dope". In September 1967, Drake met Robert Kirby, a music student who went on to orchestrate many of the string and woodwind arrangements for Drake's first two albums. By this time, Drake had discovered the British and American folk music scenes, and was influenced by performers such as Bob Dylan, Donovan, Van Morrison, Josh White and Phil Ochs. He began performing in local clubs and coffee houses around London, and in February 1968, while playing support to Country Joe and the Fish at the Roundhouse in Camden Town, made an impression on Ashley Hutchings, bass player with Fairport Convention. Hutchings recalls being impressed by Drake's guitar skill, but even more so by his image: "He looked like a star. He looked wonderful, he seemed to be 7 ft [tall]." In those days you didn't have cassettes—he brought a reel-to-reel tape [to me] that he'd done at home. Half way through the first song, I felt this was pretty special. And I called him up, and he came back in, and we talked, and I just said, "I'd like to make a record." He stammered, "Oh, well, yeah. Okay." Nick was a man of few words. According to Drake's friend Paul Wheeler, Drake had already decided not to complete his third year at Cambridge and was excited by the contract. Drake began recording his debut album Five Leaves Left later in 1968, with Boyd as producer. Drake skipped lectures to travel by train to the sessions in Sound Techniques studio, London. Inspired by John Simon's production of Leonard Cohen's album Songs of Leonard Cohen, Boyd was keen that Drake's voice would be recorded in a similar close and intimate style, "with no shiny pop reverb". He sought to include a string arrangement similar to Simon's, "without overwhelming ... or sounding cheesy". To provide backing, Boyd enlisted various contacts from the London folk rock scene, including Fairport Convention guitarist Richard Thompson and Pentangle bassist Danny Thompson (no relation). To provide string arrangements, Boyd already had in mind Richard A. Hewson. Initial recordings did not go well: the sessions were irregular and rushed, taking place during studio downtime borrowed from Fairport Convention's production of their Unhalfbricking album. Tension arose as to the direction of the album: Boyd was an advocate of George Martin's approach of "using the studio as an instrument", while Drake preferred a more organic sound. Dann has observed that Drake appears "tight and anxious" on bootleg recordings from the sessions, and notes a number of Boyd's unsuccessful attempts at instrumentation. Both were unhappy with Hewson's contribution, which they felt was too mainstream for Drake's songs. Drake suggested his college friend Robert Kirby as a replacement. Though Boyd was sceptical about taking on an inexperienced amateur music student, he was impressed by Drake's uncharacteristic assertiveness, and agreed to a trial. Kirby had previously presented Drake with some arrangements for his songs. While Kirby provided most arrangements for the album, its centrepiece "River Man", which echoed the tone of Delius, was orchestrated by the veteran composer Harry Robertson. "River Man" is noted for its 5/4 time, harmonic changes and use of prosody. An early solo acoustic version recorded in Drake's Cambridge college bedroom appears on the 2004 compilation Made To Love Magic. Post-production difficulties delayed the release by several months, and the album was poorly marketed and supported. In July, Melody Maker described Five Leaves Left as "poetic" and "interesting", though NME wrote in October that there was "not nearly enough variety to make it entertaining". It received little radio play outside shows by more progressive BBC DJs such as John Peel and Bob Harris. Drake was unhappy with the inlay sleeve, which printed songs in the wrong running order and reproduced verses omitted from the recorded versions. In an interview, his sister Gabrielle said: "He was very secretive. I knew he was making an album but I didn't know what stage of completion it was at until he walked into my room and said, 'There you are.' He threw it onto the bed and walked out!" Drake ended his studies at Cambridge nine months before graduation, and in autumn 1969 moved to London. His father remembered "writing him long letters, pointing out the disadvantages of going away from Cambridge ... a degree was a safety net, if you manage to get a degree, at least you have something to fall back on; his reply to that was that a safety net was the one thing he did not want." Drake spent his first few months in London drifting from place to place, occasionally staying at his sister's Kensington flat but usually sleeping on friends’ sofas and floors. Eventually, in an attempt to bring some stability and a telephone into Drake's life, Boyd organised and paid for a ground floor bedsit in Belsize Park, Camden. The folkies did not take to him; [they] wanted songs with choruses. They completely missed the point. He didn't say a word the entire evening. It was actually quite painful to watch. I don't know what the audience expected, I mean, they must have known they weren't going to get sea-shanties and sing-alongs at a Nick Drake gig! The experience reinforced Drake's decision to retreat from live appearances; the few concerts he did play around this time were usually brief, awkward, and poorly attended. Drake seemed reluctant to perform and rarely addressed his audience. As many of his songs were played in different tunings, he frequently paused to retune between numbers. Although the publicity generated by Five Leaves Left was minor, Boyd was keen to build on what momentum there was. Drake's second album, 1971's Bryter Layter, again produced by Boyd and engineered by John Wood, introduced a more upbeat, jazzier sound. Disappointed by his debut's poor commercial performance, Drake sought to move away from his pastoral sound, and agreed to Boyd's suggestions to include bass and drum tracks. "It was more of a pop sound, I suppose," Boyd later said. "I imagined it as more commercial." Like its predecessor, the album featured musicians from Fairport Convention, as well as contributions from John Cale on two songs: "Northern Sky" and "Fly". Trevor Dann noted that while sections of "Northern Sky" sound more characteristic of Cale, the song was the closest Drake came to a release with chart potential. Cale used heroin during this period, and his older friend Brian Wells suspected that Drake was also using. Boyd and Wood were confident that Bryter Layter would be a success, but it sold fewer than 3,000 copies. Reviews were again mixed: while Record Mirror praised Drake as a "beautiful guitarist—clean and with perfect timing, [and] accompanied by soft, beautiful arrangements", Melody Maker described the album as "an awkward mix of folk and cocktail jazz". Soon after its release, Boyd sold Witchseason to Island Records, and moved to Los Angeles to work with Warner Brothers to develop film soundtracks. The loss of his mentor, coupled with the album's poor sales, led Drake into further depression. His attitude to London had changed: he was unhappy living alone, and visibly nervous and uncomfortable performing at a series of concerts in early 1970. In June, Drake gave one of his final live appearances at Ewell Technical College, Surrey. Ralph McTell, who also performed that night, remembered: "Nick was monosyllabic. At that particular gig he was very shy. He did the first set and something awful must have happened. He was doing his song 'Fruit Tree' and walked off halfway through it." In 1971, Drake's family persuaded him to visit a psychiatrist at St Thomas's Hospital, London. He was prescribed antidepressants, but felt uncomfortable and embarrassed about taking them, and tried to hide the fact from his friends. He worried about their side effects and was concerned about how they would react with his regular cannabis use. Island Records urged Drake to promote Bryter Layter through interviews, radio sessions and live appearances. Drake, who by this time was smoking what Kirby described as "unbelievable amounts" of cannabis and exhibiting "the first signs of psychosis", refused. Disappointed by the reaction to Bryter Layter, he turned his thoughts inwards, and withdrew from family and friends. He rarely left his flat, and then only to play an occasional concert or to buy drugs. His sister recalled: "This was a very bad time. He once said to me that everything started to go wrong from [this] time on, and I think that was when things started to go wrong." Although Island neither expected nor wanted a third album, Drake approached Wood in October 1971 to begin work on what would be his final release. Sessions took place over two nights, with only Drake and Wood present in the studio. The bleak songs of Pink Moon are short, and the eleven-track album lasts only 28 minutes, a length described by Wood as "just about right. You really wouldn't want it to be any longer." Drake had expressed dissatisfaction with the sound of Bryter Layter, and believed that the string, brass and saxophone arrangements resulted in a sound that was "too full, too elaborate". Drake appears on Pink Moon accompanied only by his own carefully recorded guitar save for a piano overdub on the title track. Wood later said: "He was very determined to make this very stark, bare record. He definitely wanted it to be him more than anything. And I think, in some ways, Pink Moon is probably more like Nick is than the other two records." The piano overdub on "Pink Moon" displays a musicality absent from some of the barer tracks on Drake's final album. Drake delivered the tapes of Pink Moon to Chris Blackwell at Island Records, contrary to a popular legend which claims he dropped them off at the receptionist's desk without saying a word. An advertisement for the album in Melody Maker in February opened with "Pink Moon—Nick Drake's latest album: the first we heard of it was when it was finished." Pink Moon sold fewer copies than its predecessors, although it received some favourable reviews. In Zigzag, Connor McKnight wrote, "Nick Drake is an artist who never fakes. The album makes no concession to the theory that music should be escapist. It's simply one musician's view of life at the time, and you can't ask for more than that." Blackwell felt Pink Moon had the potential to bring Drake to a mainstream audience; however, his staff were disappointed by Drake's unwillingness to promote it. A&R manager Muff Winwood recalled "tearing his hair out" in frustration, and said that without Blackwell's enthusiastic support "the rest of us would have given him the boot". At Boyd's insistence, Drake agreed to an interview with Jerry Gilbert of Sounds Magazine. The "shy and introverted" Drake spoke of his dislike of live appearances and little else. "There wasn't any connection whatsoever," Gilbert said. "I don't think he made eye contact with me once." Disheartened and convinced he would be unable to write again, Drake retired from music. He toyed with the idea of a different career, and considered the army. In the months following Pink Moon's release, Drake became increasingly asocial and distant. He returned to live at his parents' home in Tanworth-in-Arden, and while he resented the regression, he accepted that his illness made it necessary. "I don't like it at home," he told his mother, "but I can't bear it anywhere else." His return was often difficult for his family; Gabrielle said, "good days in my parents' home were good days for Nick, and bad days were bad days for Nick. And that was what their life revolved around, really." "Black Eyed Dog" from one of Drake's final recording sessions in February 1974. The title was inspired by Winston Churchill's description, taken from Samuel Johnson, of depression as a black dog. Drake lived a frugal existence; his only income was a £20-a-week retainer he received from Island Records (equivalent to £238 in 2018). At one point he could not afford a new pair of shoes. He would disappear for days, sometimes arriving unannounced at friends' houses, uncommunicative and withdrawn. Robert Kirby described a typical visit: "He would arrive and not talk, sit down, listen to music, have a smoke, have a drink, sleep there the night, and two or three days later he wasn't there, he'd be gone. And three months later he'd be back." Nick's supervision partner at Cambridge, John Venning, saw him on a tube train in London and felt he was seriously depressed: "There was something about him which suggested that he would have looked straight through me and not registered me at all. So I turned around." John Martyn (who in 1973 wrote the title song of his album Solid Air about Drake) described Drake in this period as the most withdrawn person he had ever met. He would borrow his mother's car and drive for hours without purpose, until he ran out of petrol and had to ring his parents to ask to be collected. Friends recalled the extent to which his appearance had changed. During particularly bleak periods, he refused to wash his hair or cut his nails. Early in 1972, Drake had a nervous breakdown, and was hospitalized for five weeks. He was initially believed to suffer from major depression, although his former therapist suggested he was suffering from schizophrenia. His health problems were often reflected in his lyrics. In February 1973, Drake contacted John Wood, stating he was ready to begin work on a fourth album. Boyd was in England at the time, and agreed to attend the recordings. The initial session was followed by recordings in July 1974. In his 2006 autobiography, Boyd recalled being taken aback at Drake's anger and bitterness: "[He said that] I had told him he was a genius, and others had concurred. Why wasn't he famous and rich? This rage must have festered beneath that inexpressive exterior for years." Boyd and Wood noticed a deterioration in Drake's performance, requiring him to overdub his voice separately over the guitar. However, the return to Sound Techniques' studio raised Drake's spirits; his mother recalled, "We were so absolutely thrilled to think that Nick was happy because there hadn't been any happiness in Nick's life for years." By late 1974, Drake's weekly retainer from Island had ceased, and his severe depression meant he remained in contact with only a few close friends. He had tried to stay in touch with Sophia Ryde, whom he had met in London in 1968. Ryde has been described by Drake's biographers as "the nearest thing" to a girlfriend in his life, but she used the description "best (girl) friend". In a 2005 interview, Ryde said that a week before he died, she had sought to end the relationship: "I couldn't cope with it. I asked him for some time. And I never saw him again." As with the relationship he had shared with fellow folk musician Linda Thompson, Drake's relationship with Ryde was never consummated. During the early hours of 25 November 1974, Drake died at his home from an overdose of amitriptyline, an antidepressant. He had gone to bed early after spending the afternoon visiting a friend. His mother said that around dawn he left his room for the kitchen. His family had heard him do this many times before, and presumed he was eating cereal. He returned to his room a short while later, and took some pills "to help him sleep". Drake was accustomed to keeping his own hours; he frequently had difficulty sleeping and often stayed up through the night playing and listening to music, then slept late into the following morning. His mother later said: "I never used to disturb him at all. But it was about 12 o'clock, and I went in, because really it seemed it was time he got up. And he was lying across the bed. The first thing I saw was his long, long legs." There was no suicide note, although a letter addressed to Ryde was found close to his bed. The grave where Drake's ashes are buried with those of his parents. 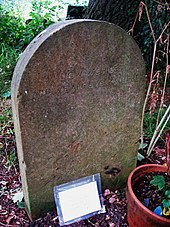 The gravestone is inscribed with the epitaph "Now we rise / And we are everywhere", taken from the lyrics of "From the Morning", the final song on Drake's final album, Pink Moon. At the inquest in December, the coroner stated that the cause of death was "Acute amitriptyline poisoning—self-administered when suffering from a depressive illness", and concluded a verdict of suicide. Although the verdict has been disputed by some of his friends and members of his family, there is a widely held view that, accidental or not, Drake had by then "given up on life". Rodney described his son's death as unexpected and extraordinary; however, in a 1979 interview he said he had been "worried about Nick being so depressed. We used to hide away the aspirin and pills and things like that." Boyd recalled that Drake's parents had described his mood in the preceding weeks as positive, and that he had planned to move back to London to restart his music career. Boyd believes that this uplift in spirits was followed by a "crash back into despair". Reasoning that Drake may have taken a high dosage of antidepressants to recapture this sense of optimism, he said he prefers to imagine Drake "making a desperate lunge for life rather than a calculated surrender to death". Writing in 1975, NME journalist Nick Kent commented on the irony of Drake's death at a time when he had just begun to regain a sense of "personal balance". In contrast, Gabrielle said "I'd rather he died because he wanted to end it than it to be the result of a tragic mistake. That would seem to me to be terrible: for it to be a plea for help that nobody hears." On 2 December 1974, after a service in the Church of St Mary Magdalene, Tanworth-in-Arden, Drake's remains were cremated at Solihull Crematorium and his ashes interred under an oak tree in the church's graveyard. The funeral was attended by around fifty mourners, including friends from Marlborough, Aix, Cambridge, London, Witchseason, and Tanworth. Referring to Drake's tendency to compartmentalise relationships, Brian Wells observed that many met each other for the first time that morning. His mother Molly recalled "a lot of his young friends came up here. We'd never met many of them." There were no documentaries or compilation albums in the wake of Drake's death. His public profile remained low throughout the 1970s, although his name appeared occasionally in the music press. By this time, his parents were receiving an increasing number of fans and admirers as visitors to the family home. Island Records, following a 1975 NME article written by Nick Kent, stated they had no plans of repackaging Drake's albums, but in 1979 Rob Partridge joined Island Records as press officer and commissioned the release of the Fruit Tree box set. The release compiled the three studio albums, the four tracks recorded with Wood in 1974, and an extensive biography written by the American journalist Arthur Lubow. Although sales were poor, Island Records never deleted the three albums from its catalogue. By the mid-1980s, Drake was being cited as an influence by musicians such as Peter Buck of R.E.M. and Robert Smith of the Cure; Smith credited the origin of his band's name to a lyric from Drake's song "Time Has Told Me" ("a troubled cure for a troubled mind"). Drake gained further exposure in 1985 with the release of the Dream Academy's hit single "Life in a Northern Town", which included a dedication to Drake on its sleeve. In 1986, a biography of Drake was published in Danish; it was translated, updated with new interviews, and published in English in February 2012. Drake's reputation continued to grow, and by the end of the 1980s, his name was appearing regularly in newspapers and music magazines in the United Kingdom; he had come to represent a "doomed romantic hero". On 20 June 1998, BBC Radio 2 broadcast a documentary, Fruit Tree: The Nick Drake Story, featuring interviews with Boyd, Wood, Gabrielle and Molly Drake, Paul Wheeler, Robert Kirby and Ashley Hutchings, and narrated by Danny Thompson. In early 1999, BBC2 aired a 40-minute documentary, A Stranger Among Us—In Search of Nick Drake. The following year, Dutch director Jeroen Berkvens released the documentary A Skin Too Few: The Days of Nick Drake, featuring interviews with Boyd, Gabrielle Drake, Wood and Kirby. Later that year, The Guardian placed Bryter Layter number one in its "Alternative Top 100 Albums Ever" list. In November 2014, Gabrielle published a biography of Drake. Drake was obsessive about practising his guitar technique, and would stay up through the night writing and experimenting with alternative tunings. His mother remembered hearing him "bumping around at all hours. I think he wrote his nicest melodies in the early morning hours." Self-taught, he achieved his guitar style through the use of alternative tunings to create cluster chords, which are difficult to achieve on a guitar using standard tuning. In many songs he accents the dissonant effect of such non-standard tunings through his vocal melodies. Drake, who studied English Literature at Cambridge, was drawn to the works of William Blake, William Butler Yeats and Henry Vaughan, and his lyrics reflect such influences. He also employed a series of elemental symbols and codes, largely drawn from nature. The moon, stars, sea, rain, trees, sky, mist and seasons are all commonly used, influenced in part by his rural upbringing. Images related to summer figure centrally in his early work; from Bryter Layter on, his language is more autumnal, evoking a season commonly used to convey senses of loss and sorrow. Throughout, Drake writes with detachment, more as an observer than participant, a point of view Rolling Stone's Anthony DeCurtis described "as if he were viewing his life from a great, unbridgeable distance". This perceived inability to connect has led to much speculation about Drake's sexuality. Boyd has said he detects a virginal quality in his lyrics and music, and notes that he never observed or heard of the singer behaving in a sexual way with anyone, male or female. Kirby described Drake's lyrics as a "series of extremely vivid, complete observations, almost like a series of epigrammatic proverbs", though he doubts that Drake saw himself as "any sort of poet". Instead, Kirby believes that Drake's lyrics were crafted to "complement and compound a mood that the melody dictates in the first place". Drake received little critical success during his lifetime, but has since been widely acclaimed. According to Acclaimed Music, he is the 101st most acclaimed recording artist of all time. All three of his original albums have been regarded in retrospect as masterpieces by numerous publications; Rolling Stone included all three on the magazine's list of the 500 Greatest Albums of All Time. In 1994, Rolling Stone journalist Paul Evans said Drake's music "throbs with [an] aching beauty" similar to the 1968 Van Morrison album Astral Weeks. According to AllMusic critic Richie Unterberger, Drake was a "singular talent" who "produced several albums of chilling, somber beauty", which "with hindsight", have been "recognized as peak achievements of both the British folk-rock scene and the entire rock singer/songwriter genre." In Unterberger's estimation, Drake's following and acclaim have spanned generations, "in the manner of the young Romantic poets of the 19th century who died before their time ... Baby boomers who missed him the first time around found much to revisit once they discovered him, and his pensive loneliness speaks directly to contemporary alternative rockers who share his sense of morose alienation." Less enthusiastic about Drake has been Robert Christgau, who audaciously wrote in Christgau's Record Guide: Rock Albums of the Seventies (1981): "I'm not inclined to revere suicides. But Drake's jazzy folk-pop is admired by a lot of people who have no use for Kenny Rankin, and I prefer to leave open the possibility that he's yet another English mystic (romantic?) I'm too set in my ways to hear." Years later, he was asked to elucidate what remained an unconventional appraisal of the singer-songwriter, and said: "Drake is admired and beloved by many, so many that I'm sure he was an artist of real originality and, for many, appeal ... Although there've been a few exceptions, I've never been attracted to hypersensitives or depressives, and Drake is both. I make no claim for the objective aesthetic value of these tastes. If you enjoy and admire him, go to it with my blessings—you have lots of intelligent company. Just not me." ^ Dann (2006), p. 61. ^ Dann (2006), p. 140. ^ a b "Nick Drake — Biography", VH1.com; retrieved 2 September 2006. ^ "Brad Pitt fronts Nick Drake show", BBC News, 6 April 2004. Retrieved 22 August 2006. ^ a b c d e MacDonald, Ian. "Exiled from Heaven". Mojo Magazine (74), January 2000. pp. 32–47. ^ A BBC article by Mark Moxon from 14 January 2002 states: "The album only sold 15,000 copies, which was enough to please the record company, but nothing like the success Nick was hoping for." ^ Berkvens, Jeroen, A Skin Too Few: The Days of Nick Drake, Luijten Macrander Productions, 2000. ^ a b Brown, M., "Nick Drake: the fragile genius", The Daily Telegraph, 25 November 2014. ^ McNair, James (26 March 1999). "Pop: Apprentice to the stars". The Independent. London, England: Independent Print Ltd. Retrieved 16 August 2018. ^ "How the Internet (and Volkswagen) Made a Dead Folksinger Into a Star". Retrieved 26 November 2014. ^ Schoenburg, Nara (11 April 2001). "From Obscurity to Hit in 1 TV Commercial". Los Angeles Times. Los Angeles, California: Tronc. Retrieved 11 April 2001. ^ Hall, James (24 November 2014). "Nick Drake: 'He knew he was good'". The Daily Telegraph. London, England: Telegraph Media Group. Retrieved 23 November 2017. ^ Dann (2006), p. 76. ^ Brown, M. "The Sad Ballad of Nick Drake", The Sunday Telegraph (UK), 12 July 1997; retrieved 31 January 2007. ^ Dann (2006), pp. 83–84. ^ a b c d Berkvens, Jeroen, A Skin Too Few: The Days of Nick Drake (video documentary). Roxie Releasing, 2000. ^ Dann (2006), p. 91. ^ Dann (2006), 95, 97. ^ Humphries (1997), p. 36. ^ Dann (2006), p. 100. ^ a b McGrath, T.J. "Darkness Can Give You the Brightest Light", Dirty Linen, Issue 42, October/November 1992. ^ Dann (2006), p. 124. ^ Humphries (1997), pp. 51–52. ^ Dann (2006), p. 123. ^ Brown, Mick. "The Fragile Genius", Guardian.co.uk, 25 November 2014; retrieved 29 January 2017. ^ Dann (2006), p. 28. ^ Dann (2006), pp. 40–43. ^ a b "Nick Drake—Chronology". Retrieved 11 November 2006. ^ a b c Paphides, Peter. "Stranger to the world", Guardian.co.uk, 25 April 2004; retrieved 1 February 2007. ^ a b Boyd (2006), 192. ^ Rosen, Dave. "Five Leaves Left", Ink Blot Magazine. Retrieved 2 March 2014. ^ Dann (2006), pp. 59–60. ^ Dann (2006), p. 60. ^ Boyd (2006), p. 194. ^ Jones, Chris (2007). "Review of Nick Drake's Five Leaves Left". BBC News. ^ Fitzsimmons, Mick. "Nick Drake, Made to Love Magic", BBC.co.uk; retrieved 1 February 2007. ^ Dann (2006), p. 133. ^ Humphries (1997), pp. 101–02. ^ Boyd (2006), p. 197. ^ Dann (2006), p. 134. ^ Humphries (1997), pp. 107–08. ^ Dann (2006), p. 141. ^ a b c Sandall, Robert. "Brighter Very Much Later", The Daily Telegraph, 20 May 2004; retrieved 31 January 2007. ^ a b c Drake, Gabrielle, Nick Drake: Remembered For A While, Little, Brown and Company, 2014. ^ a b Unterberger, Richie. 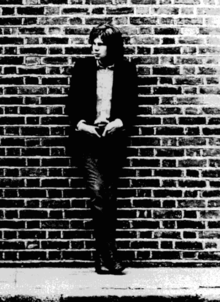 Nick Drake profile, AllMusic.com; retrieved 22 August 2006. ^ Holden, Stephen. "Pop and Jazz Guide". New York Times, 22 August 1986. ^ Dann (2006), p. 142. ^ Dann (2006), p. 242. ^ Cale (1999), p. 128. ^ a b c Hunt, Rupert. "Nick Drake—Life and Music in Quotes", Nickdrake.com; retrieved 2 September 2006. ^ a b "Nick Drake — Singer and Songwriter", h2g2.com; retrieved 13 September 2006. ^ Macaulay, Stephen. "Nick Drake—Bartleby the Musician", gloriousnoise.com; accessed 1 November 2016. ^ Humphries (1997), p. 166. ^ Dann (2006), p. 166. ^ Kirby, Robert. Quoted in Dann (2006), p. 157. ^ Dann (2006), p. 157. ^ Dann (2006), pp. 168–170, 172. ^ Cooper, Colin. "Nick Drake — Bryter Layter", stylusmagazine.com, 2 March 2004; retrieved 3 February 2007. ^ Wood, John. Interview conducted by Walhalla Radio Station, 1979. ^ Dann (2006), p. 245. ^ Sandison, Dave. "Pink Moon" Archived 29 September 2007 at the Wayback Machine, UK Press Release (1971); retrieved 14 November 2006. ^ McKnight, Connor, "In search of Nick Drake", Zigzag Magazine, #42, 1974. ^ Gilbert, Jerry. "Something else for Nick? An interview with Nick Drake". Sounds Magazine, 13 March 1971. ^ a b Dann (2006), pp. 163–64. ^ a b Barnes, Anthony (22 February 2004). "-the forgotten tapes of Nick Drake". The Independent. UK. Retrieved 1 November 2016. ^ Dann (2006), p. 251. ^ a b c Kent, Nick (8 February 1975). "Requiem For A Solitary Man". New Musical Express. ^ Dann (2006), p. 175. ^ Dann (2006), p. 177. ^ a b "The alternative top 100", Guardian Unlimited (1999); retrieved 3 September 2006. ^ Cole, Paul (22 November 2014). "The last 10 days of singer-songwriter Nick Drake's life are revealed in his father's heartbreaking diary". Retrieved 12 July 2018. ^ Boyd (2006), 259, 261. ^ Dann (2006), pp. 54, 183. ^ a b c d "Heartbreak letter clue to death of cult singer", "The Death of Nick Drake"; retrieved 14 December 2011. ^ Dann (2006), p. 184. ^ Humphries (1997), pp. 213–14. ^ Dann (2006), p. 187. ^ a b Drake, Gabrielle. Molly Drake profile, BryterMusic.com (2012). ^ Boyd (2006), pp. 260–61. ^ Humphries (1997), p. 215. ^ a b Dann (2006), pp. 193–94. ^ Humphries (1997), p. 75. ^ a b Humphries (1997), p. 238. ^ Fitzsimmons, Mick. "Nick Drake — Under the Influence", BBC.co.uk; retrieved 2 September 2006. ^ Southall, Nick. "Made To Love Magic" Archived 26 January 2007 at the Wayback Machine, stylusmagazine.com, 3 June 2003; retrieved 2 February 2007. ^ "Transcript of documentary reproduced on "The Nick Drake Files" website". algonet.se. Archived from the original on 4 March 2000. Retrieved 16 November 2014. ^ a b Frederick, Robin. "Nick Drake — A Place To Be" (2001), RobinFrederick.com; retrieved 26 October 2006. ^ a b DeCurtis, Anthony. "Pink Moon". Rolling Stone, 17 February 2000; retrieved 14 December 2011. ^ Dann (2006), p. 217. ^ Boyd (2006), p. 263. ^ a b Christgau, Robert (26 March 2019). "Xgau Sez". robertchristgau.com. Retrieved 29 March 2019. ^ "Nick Drake". Acclaimed Music. Retrieved 29 March 2019. ^ Holzman, Jake (21 August 2017). "The Understated Importance of Nick Drake". PopMatters. Retrieved 29 March 2019. ^ Evans, Paul (29 December 1994). "Way To Blue: An Introduction To Nick Drake". Rolling Stone. Retrieved 29 March 2019.